“Life is like a game of soccer. You need goals. As the quote above astutely expresses, a person needs to form a set of ideas, a proper structure, and an aim in order to achieve a purpose in life. Simultaneously it also illuminates that if you don’t take action, then you can’t accomplish what you want which ultimately leads to success. Presently, the historical North American Soccer League (NASL) where great stars such as Pelé, Franz Beckenbaur, Johan Cruyff, George Best, Eusébio, Gerd Müller, Bobby Moore, Gordan Banks, Giorgio Chinaglia, Carlos Alberto, Raúl, Marcos Senna, and many others have played, is appropriately making its pivotal case in US courts versus the United States Soccer Federation (USSF). The league is imperatively contesting that the existing arbitrary USSF Professional League Standards (USSF PLS), which have been imposed upon every US professional soccer league and club to abide by, must be eliminated as it is unquestionably discriminatory and anti-competitive under US laws, as shown in the document: How the North American Soccer League (NASL) can truly win against the United States Soccer Federation (USSF). The USSF PLS, since its introduction in 1995, has extremely hindered the growth of the NASL as well as all of professional and amateur soccer in the USA, while simultaneously benefiting MLS as an exclusive Division 1 league. The result of the case, whether in favor or not, will affect the NASL and all of American soccer moving forward. If the result is favorable and the USSF PLS are rightfully eliminated as they should be under US laws, then it is a win for soccer in America as all clubs and leagues across the country can freely do business without restraints or arbitrary depreciating labels from a third party federation that is heavily influenced through multi-billion dollar deals by one league, Major League Soccer (MLS), and its marketing arm, Soccer United Marketing (SUM). If the result is negative and the USSF PLS remain for the time being, then it is a loss for the sport as the NASL may not kick a ball in 2018 and thousands of clubs, hundreds of cities, dozens of states, and millions of soccer fans in the US will in turn be perpetually left out of direct US division 1 access and no promotion and relegation as done around the world as MLS and its potential cap of 32 teams in its closed system will hold a stronger monopoly on D1 via the USSF PLS – a financial model which less than 0.02% of the US population can satisfy, and 99.98% can not meet. Representatives of the league have stated that if the anti-trust case, NASL vs USSF, is not won in this initial battle, then the NASL will likely take a break for the foreseeable future while they continue to appeal and honorably fight at the highest judicial level possible. In other words, the league may not return next year, or the year after that, or ever at all. While the ownership and executive branch of the league might see this approach as the only feasible option, so they can focus all strength and resources on the case, I would like to propose to you all that there is a better and more sustainable strategic path to pursue – one that equals greater financial returns and a true win for everyone, including the fans. The NASL must take the field in 2018 and never stop playing the beautiful game. The important strength of the league in any court of law is the resounding support from the growing fans in the stands as well as its ongoing visibility and acceptance across the country in the court of opinion. This widespread presence is what’s going to help turn the tide in favor of the NASL. It’s about strength in numbers and unity. It’s about continuing to give fans your valuable commitment to their clubs, and demonstrating that no matter what happens, no one can or will shut you down – right Rocco?! – because together you’re stronger and you stand as one. If the NASL doesn’t play, then the league as well as the game in the USA will lose on several levels. This must be avoided at all costs for the greater good and future of the sport. The NASL must be resolute and intelligently play this coming season because this is how it will ultimately win and inspire others to join their cause. The symbolic presence and leadership of the league is paramount. The NASL can strategically bypass part of the USSF PLS while still being fully recognized as a professional league under the federation. 2) Additional Specific Division Standards (for USSF D1, D2, and D3). All professional soccer leagues in the US must meet the first criteria under USSF, but each have the options to meet the second part if they are specifically seeking a USSF division. In other words, it is not an obligation to pursue USSF D1, D2, D3, but a bonus interest. The only real benefit to the latter is late entrance in the USSF US Open Cup. Yet, the NASL clubs are not prohibited or limited in quantity from participating in the national tournament if they don’t have that additional component. Many of the arbitrary rules of the USSF PLS that have greatly suppressed the growth of the NASL and others over the years are found in the second section. The league can now astutely bypass it by simply opting out of division status. This will substantially open up the doors for new clubs, cities, fans, and investors to join the league. For a couple of years now there’s been ongoing flirtation between the NASL and the National Premier Soccer League (NPSL) to create a defined working relationship, even one towards implementing national promotion and relegation. A supportive friendly relationship has existed between the two, and clubs in the NASL have placed reserve teams in the NPSL over the years. Moreover, the National Independent Soccer Association (NISA) has expressed keen interest in forming a Pro/Rel partnership with them as well. Meanwhile, the United Premier Soccer League (UPSL) has already integrated Pro/Rel into its league and the United States Adult Soccer Association (USASA) is formulating its own Pro/Rel plans. There’s a saying that “there’s no time like the present” to accomplish anything you want. The moment is right for the NASL, NISA, NPSL, UPSL, and USASA to forge a pact and solidify a partnership to create the first ever national promotion and relegation system in the US akin to the rest of the world. The demand and massive financial returns are there! The NASL needs to step up to the plate to lead the way and make this official. This is the future of the sport in the country – true participation in the global game. Recently I shared a proposal for a US National Soccer Summit, one not seen since the formation of the USSF in 1913, where several leagues and associations can unite to establish a partnership, create a unifying association, and ultimately implement promotion and relegation between them. So far, the summit has been getting a lot of support from important members of the soccer community. In fact, John P. Motta, the President of the United States Adult Soccer Association (USASA) will be organizing and hosting it in Philadelphia this January. The entire NASL brass including all owners (Rocco B. Commisso, Riccardo Silva, Ersal Ozdemir, Robert Palmer, Carmelo Anthony, Pete Capriotti, and Demba Ba and his partners) must not only be there, but they should take a significant leadership role as a collective for this transcending event. This is your chance to rise to the occasion, to really grow the game in this country, and demonstrate how it can be accomplished together. 1) The American Soccer League (ASL), American Premier Soccer, and Gulf Coast Premier League could merge or consolidate with the UPSL, as the Premier League of America (PLA) did this year. This would give the league a true national footprint and give all the clubs more regional derbies. 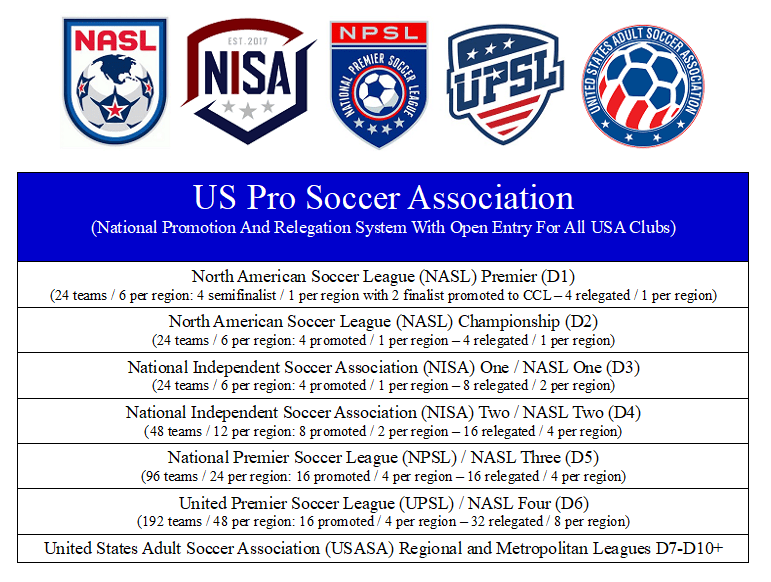 Clubs would have upward mobility to the NPSL, NISA, and NASL through Pro/Rel as shown in the above table. 2) Furthermore, all clubs can additionally have indoor teams in the Major Arena Soccer League (MASL) during the winter break to keep players active. With more teams added, the MASL can too have promotion and relegation (MASL 1-10+). The league has already created the MASL 2 and has the Premier Arena Soccer League (PASL) in place. The league could also merge with the Western Indoor Soccer League (WISL). 3) The US National Soccer Summit would also include the Professional Futsal League (PFL) and Major League Futsal (MLF) so clubs could create futsal teams as well. The leagues together could ideally form a promotion and relegation system for the sport. 4) And without any doubt, the summit will definitely include the National Women’s Soccer League (NWSL), Women’s Premier Soccer League (WPSL), and United Women’s Soccer (UWS). Men’s and women’s teams could establish working relationships and exchange resources. The women’s leagues can expand and be redesigned to include Pro/Rel. Eventually there can be a female version of the MASL for indoor soccer and the PFL / MFA for futsal. The importance of the summit is to help bring everyone together with a common goal: Equal and fair opportunity for the greater good of the game. Currently, the NASL is at seven teams. With new vision and design, the league can be at twenty teams within the year, and attract even more sustainable and successful clubs quicker than ever before. Rather than attempt to pay millions of dollars for clubs to enter the league and meet the second part of the USSF PLS, as has been suggested this year by league executives for the 2018 season, the NASL as a whole can intelligently bypass that unnecessary and financially expensive route. Instead the NASL can take a bold step forward in the right direction. For a number of years I had been proposing to the NASL leadership to eliminate the expansion fees and territorial rights. If in fact their clubs were like clubs found around the world, then the league should not be using the franchise model at all because it would ultimately limit their financial growth, as history has shown it did, and make them no better than MLS as a closed system. By 2013, the NASL began to raise their franchise fees in the low seven figures, influenced by the structure of the USSF PLS, which unfortunately decreased the amount of potential investors in the league. This was one of the major factors which contributed to the destabilization of its growth. Just recently, the NISA made a milestone announcement that it would effective immediately do away with franchises, territorial rights, and expansion / entrance fees in their league. They realized, as I had been expressing to the NASL for a long time, that in doing so more clubs would be able to participate in the league and the money used for franchise fees can be productively reinvested into club development and operations. Short and long term, this is the right sustainable model. – No more expansion fees. As neither of those components are where the real money and growth of the sport are. In doing so, in a short period of time the NASL will have dozens of new national and international investors lined up because the limitations would have been lifted. The league can now go anywhere. They can return to San Francisco with a new ownership group to play at Kezar Stadium. They can enter substantially more markets in the US, including smaller ones never thought possible like Kingston, NY (as Stockade FC can one day become the SD Eibar of the US). They can place various top quality teams in Los Angeles, Chicago, Dallas, Miami, and New York and create a real New York derby like in London and Buenos Aires. The possibilities are endless because there would now be a true inclusive free market. All clubs in the USA no matter how big or small will have the equal and fair opportunity to reach the potential NASL Premier (D1). This idea of merit of play is what makes soccer the Beautiful Game. Following this path will make the NASL and all its partners one of the richest and top soccer systems in the world. Last year I shared a proposal for an Interleague Play setup between the NASL and NPSL. The goal was for the NASL to play against its own clubs for one round, while also playing a set number of games against nearby regional NPSL clubs in order to substantially reduce travel costs. Though the proposal was very attractive to various members of both leagues, neither could come to an accord for the year. Unfortunately, the 2017 season’s travel costs for the NASL without Interleague Play with the NPSL was too great for the then eight teams traveling as far from Edmonton to Puerto Rico. Three teams departed from the league at the end of the season, while two were added via expansion. Now with seven teams, the NASL has to see that Interleague Play is not just an attractive option. It is an imperative incentive moving forward to help reduce travel costs. Simply put, Interleague Play could’ve saved San Francisco. While the structure of promotion and relegation is ironed out between the leagues, the NASL, NISA, NPSL, and UPSL should pursue and implement Interleague Play without hesitation. This will link the leagues and clubs together and bring about more positive exposure to everyone. This setup creates regional rivalries and financially accessible away game trips for fans who will help continue to build this sport to where it needs to be. Interleague Play is a key component for Pro/Rel in this geographically expansive country with 50 states and multiple time zones that is bound by two oceans. Back in June 2014, I created the idea behind the hashtag #ProRel4USA / #ProRelForUSA. (Yes, just like #Wynalda4USSF also logically stands for #WynaldaForUSSF.) The primary goal at the time was to send an inspiring message to raise awareness and to unify the dispersed pro/rel advocates across the country, particularly on Twitter, under a common phrase that can represent multiple points of views and voices standing for a central cause: Necessary change and equal representation in USSF. Since then, the hashtag has morphed and taken on a life of its own reaching across the planet even influencing places like Canada, Australia, and India with #ProRelForCAN, #ProRelForAUS, and #ProRelForIND / #ProRelForIndia. Informative blogs have been created, banners have been raised, t-shirts have been made, jerseys have been designed, and numerous articles have been written using the words #ProRelForUSA. Today, thousands of soccer fans in the US are more aware of the #ProRelForUSA movement that has ultimately inspired hundreds of clubs to come out in support, a financial study written by a leading global business company, and a $4 billion dollar (USD) proposed investment in the USA for promotion and relegation. Everyone who has used the words #ProRelForUSA have significantly contributed to its growth. My desire for #ProRel4USA / #ProRelForUSA was never to own it, because no one can own the concept of promotion and relegation, or let alone a hashtag, as it belongs to everyone. #ProRelForUSA is not any one person. It is a representation of everyone and every club wanting equality in the world’s game. Like the names Gillette, Rollerblade, Scotch Tape, Sharpie, Post-its, Xerox, and Aspirin which have all in their own way become generic representations of a product and not simply a trademark for a company, #ProRelForUSA is supposed to be used indefinitely by everyone free of charge as a symbol for equality in the world’s game. 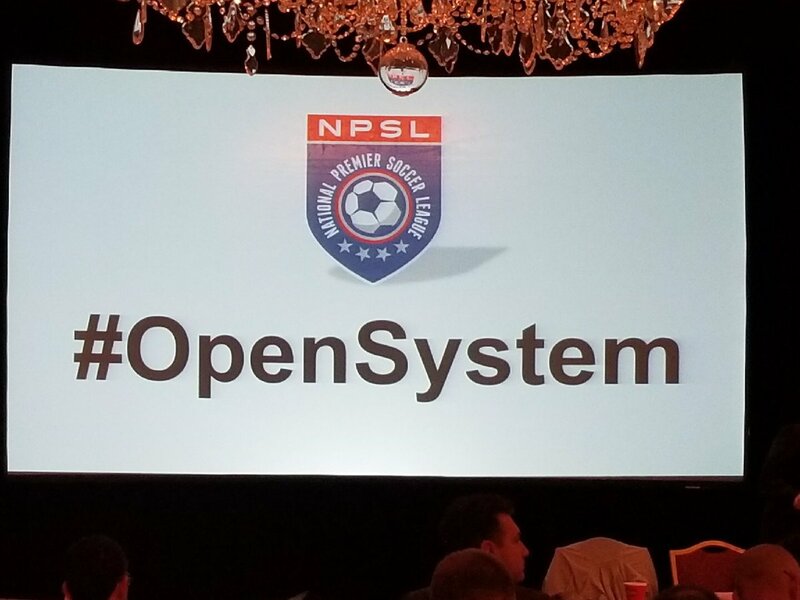 While there are other hashtags circulating like #ProRel, #OpenSystem, #OpenSoccer, and others that help to further spread the message for a promotion and relegation system in the US, none are more recognizable and specific than #ProRelForUSA. It is the generic term that most people in support of this defined topic use and identify with. So like the universal word Aspirin, I greatly implore that the NASL, NISA, NPSL, UPSL, USASA and others strategically agree to work together and utilize this term to further unite the entire soccer community. #ProRelForUSA is not one person’s voice. It is all the voices together. So empower yourselves and speak up using this universal concept. 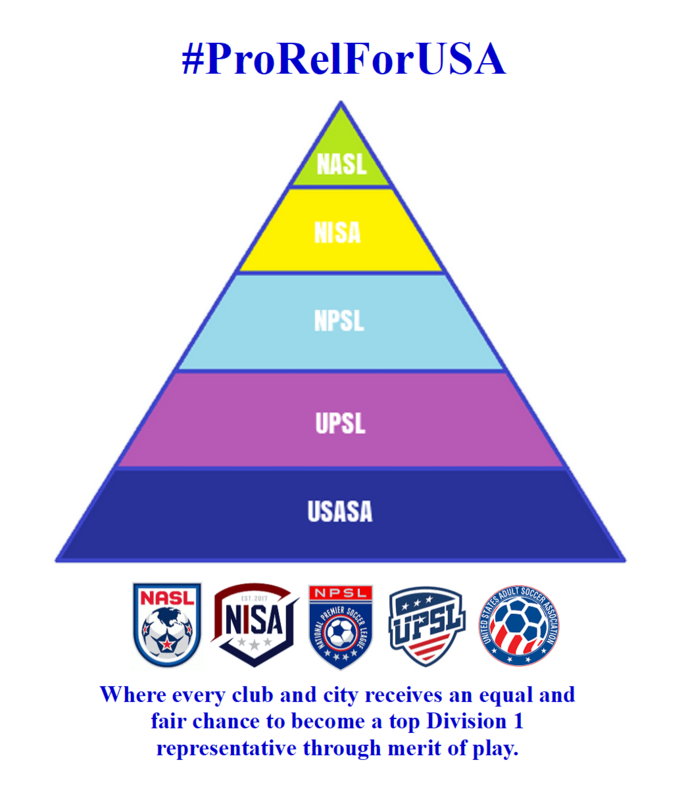 – Have all clubs sell $5 t-shirts with their logos in the front left hand corner, and the words #ProRelForUSA and a large pyramid with the NASL, NISA, NPSL, UPSL, and USASA in the middle. – The bottom of the t-shirt can simply say, “Where every club and city receives an equal and fair chance to become a top Division 1 representative through merit of play”. – In the back of the t-shirt: “We All Want D1”. – Have all clubs place the words #ProRelForUSA on their homepage and social media pages such as Twitter and Facebook. The NASL, NISA, NPSL, UPSL, and USASA can together write a definition of what they believe #ProRelForUSA means for them and what they are collectively fighting for. They can all share that same message across social media. – Have every club put the words #ProRelForUSA on the bottom front or bottom back of their 2018 jerseys. Let the message keep spreading so that it can organically grow until every fan, club, and city realizes that this is the right way to go. I will soon be releasing a Ticket Price Master Plan for everyone to read prior to the summit. For the 2018 season, all clubs should be selling game day tickets at accessible and realistic US middle class family prices to boost attendance and amplify visibility. Note: Some clubs in NASL can use prices for NISA, while some clubs in NPSL can use prices for UPSL. No club per league per level should be using prices higher than these. The Ticket Price Master Plan will explain everything in much more detail. 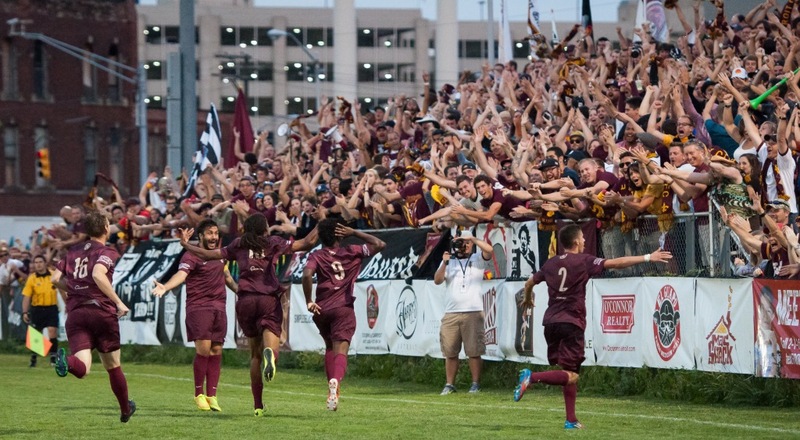 Eighth – Institute partial fan ownership for all clubs: the 20% rule. The Bundesliga is the number one attended soccer league in the world, boasting 40k+ average attendance, while its second division the 2. 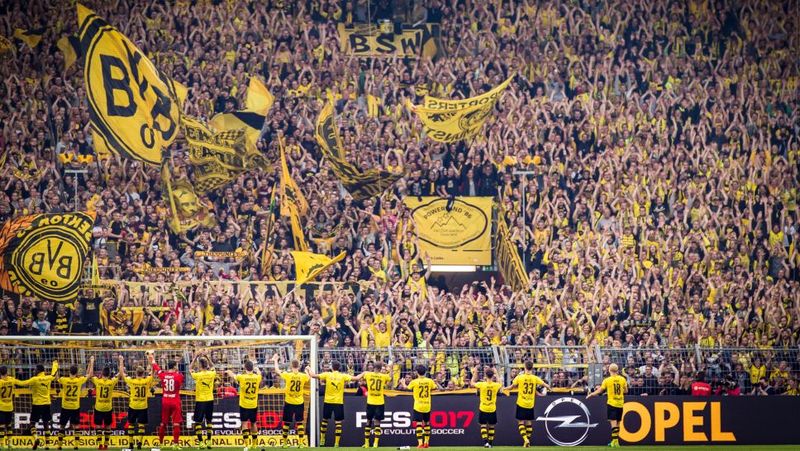 Bundesliga averaged 20k+ in 2016-2017 – higher than the vast majority of 1st divisions around the world, all due to two main factors: accessible ticket prices and partial fan ownership. The NASL, NISA, NPSL, UPSL, and USASA must enter into a new phase of soccer in order for the sport to grow faster and in a sustainable manner in the USA with real fan commitment. To start, all clubs should have a minimum of 20% ownership / club voting rights set aside for fans. This would positively change the landscape of the sport. Imagine tomorrow if the New York Cosmos, Indy Eleven, Detroit City FC, Chattanooga FC, Miami FC, and all others opened their doors to partial fan ownership / voting rights as a new definitive standard to completely unite with fans. All clubs would immediately get their communities rallying behind them with larger investments and increased support. New fans would take pride in their clubs because they would feel more connected to them. Clubs would become cornerstones and pillars of their areas, and soccer as a whole would be ingrained in society. More importantly, no fan would ever fear again that their club could move or disappear. All US soccer clubs can become the Borrusia Dortmund of their communities. The NASL has to take the field in 2018 if they truly want to win. Doing anything otherwise is the real loss. While the fight in court will possibly continue, the biggest fight that the league must never lose sight of is with the game on the pitch and making sure they stay connected with all their fans. Together with NISA, NPSL, UPSL, the USASA, and the national soccer summit, the NASL can help usher in a new era for the sport and completely break down all doors through strength in numbers. Soccer in America needs your presence and leadership on the field if the country is ever going to be successful and create promotion and relegation where all clubs are represented equally. So NASL: Grab the bull by the horns, be the masters of your own destiny, and lead the way. Never let anyone shut you down! So I say to you all now: Own it and go ahead and play it in 2018! You know what has greatly hindered NASL success, the NASL itself. Terrible leadership and terrible decisions have hindered the NASL. A lawsuit to gain D1 status that had no merit other than “we used to be D1 so give it to us again, that hindered the NASL. Bowing down to the Cosmos, who thought they were bigger than they are, that hindered the NASL. Giving franchises to owners with no money and no desire, that hindered the NASL. The NASL is in the position they are in because they put themselves there. All this blaming everyone else is typical of the snowflake society we will in today. I just looked at the structure for your pyramid and I agree that it should be regional. That said, would it not be better to have 8 regions – Northeast, Mid-Atlantic, Southeast, Midwest, Northwest, Southwest, South Central, and Frontier – in the USA structure. This way, the UPSL NPSL NISA NASL would be merged into regional leagues under one umbrella – similar to Australia’s National Premier Leagues. As Down Under, the NPL has pro-rel with the State Leagues.